President Joko Widodo through the opening ceremony of the 32nd ASEAN Summit in Island Ballroom, Shangri-La Hotel, Singapore, Saturday, April 28, 2018. 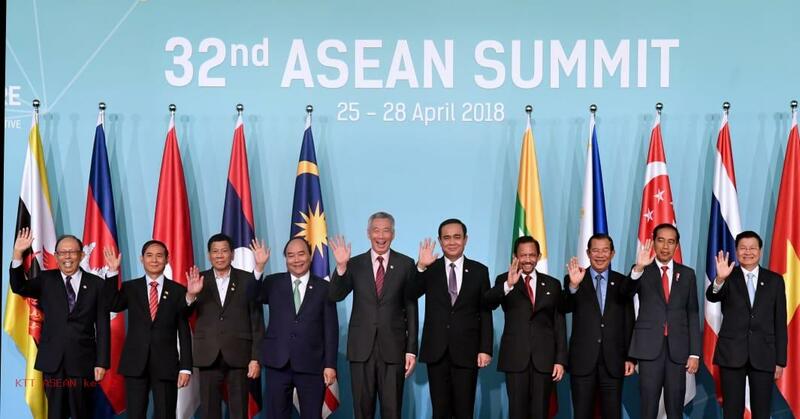 “There are several meetings, the first of the Summit itself, the official opening, then the ASEAN Leaders Retreat which will discuss the issue of the region, the international issue,” Foreign Minister Retno Marsudi told reporters on Friday night, April 27, 2018, at the Hotel Shangri-la, Singapore. In addition, the President will also hold a bilateral meeting with Prime Minister of the Socialist Republic of Vietnam, Nguyen Xuan Phuc. The meeting is scheduled to be held after lunch, in the 3rd Bilateral Meeting Room, Shangri-La Hotel, Singapore, as quoted from the Deputy Press Release of Protocol, Press and Media Secretariat President Bey Machmudin. Before returning to Indonesia, the President will first discuss the 11th Indonesia-Malaysia-Thailand Growth Triangle (IMT-GT) Meeting at Banyan Room, Shangri-La Hotel, Singapore. President Joko Widodo welcomed the ASEAN Smart Cities Network (ASCN) initiative.